I recently got to spend a couple of days behind the wheel of the new CT630LS. The LS added to the existing CT630 moniker stands for Luxury Sleeper, and this is the first time NC2 has been able to offer a long wheelbase, 5,550mm to 5,700mm, line-haul prime mover with a walk-in, high-rise 56-inch (142cm) integrated sleeper cab. I’ll be the first to admit that I’ve never been a fan of the Cat trucks look. The swoopy lines never served to grab my eye and the whole effect seemed a bit … soft. 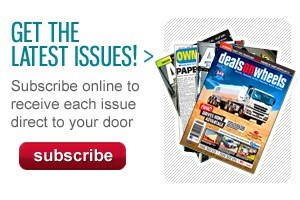 They lacked the purposeful down-to-business look that other manufacturers have been able to capitalise on. I have to admit, however, the LS prototype I recently drove from Alice Springs to Adelaide is the closest Cat has come to making a handsome prime mover. The integrated bunk beefs out the cab, while on this particular prime mover, a trick looking four-post bull bar squares off the front nicely. Okay, this is probably an aerodynamic abomination but hey, it looks cool. When casting my eye over the new ADR 80/03-compliant C15 ACERT (Advanced Combustion Emissions Reduction Technology) power plant nestled between the chassis rails of the new CT630LS from Cat Trucks, I couldn’t help thinking that maybe Cat had pulled it off — an elegant solution to a big emissions problem. It’s no secret that NC2’s parent company, Navistar, has had its hands full keeping up with emissions laws at home in the United States. Indeed, some have been critical of NC2’s initial strategy of building all its Australian vehicles before the current ADR emissions regime came into play. 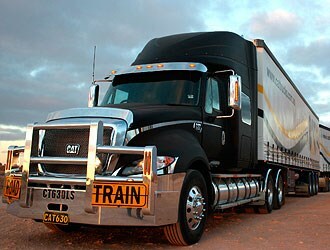 But, it did give the newly-arrived Cat-branded trucks the advantage of making their Aussie debut without having to grapple with exhaust gas recirculation (EGR) or selective catalytic reduction (SCR). The outgoing ADR 80/02 ACERT C15 has been returning some comparatively impressive fuel figures as well keeping its cool in some pretty rugged roles. But it wasn’t long before observers and competitors alike started to wonder what NC2 had in store for the future, as there was no ADR-compliant engine to import from the US. 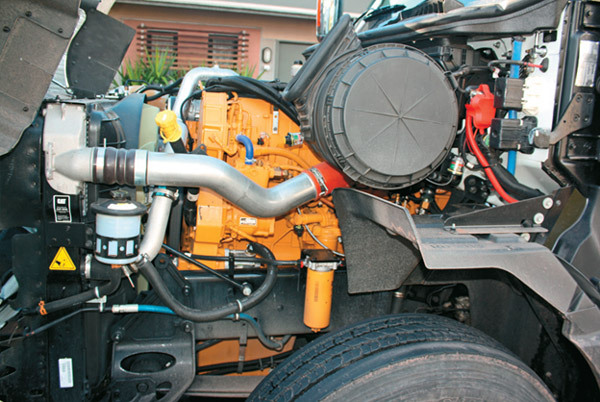 There was even a vicious rumour Cat trucks was — shock horror — going to use Cummins power. 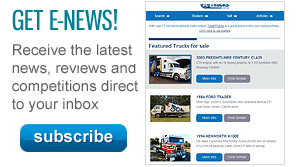 This rumour actually had its basis in the US where Navistar announced it had entered into a short-term deal with Cummins to supply SCR technology for its newly compliant MaxxForce SCR engines. Instead the Australian ADR 80/03 solution did end up being relatively simple and maybe even elegantly so. The existing C15 ACERT engine was fitted with a crankcase breather, the ECM software was overhauled and two passive diesel particulate filters (DPFs) were fitted. No doubt the process wasn’t as simple as that and I’m sure the development of the engine caused someone a grey hair or two. However, the end result is an engine that complies with current emission legislation without the added expense of SCR and manages to avoid the complexity and high engine temperature issues that tend to plague EGR engines. An important thing to note is the passive DPFs; meaning there is no regeneration process to burn out any particulate matter. The system uses engine exhaust temperature to take care of soot in the DPF cans. While the new engine is big news for Cat trucks, and fans of the yellow motor in general, there are a couple of new models on the horizon set to expand the range into new areas. The new Cat features an Eaton Fuller 18-speed manual transmission to shift the gears in the 15-litre engine. 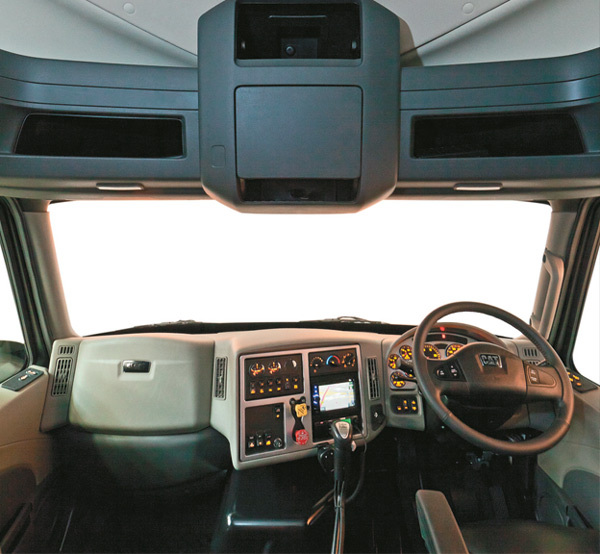 The interior of the new cab is massive with 2,100mm of headroom in the bunk area. At the rear lies a 2,040 mm by 900mm wide bed underneath which is a slide-out under-bunk fridge. 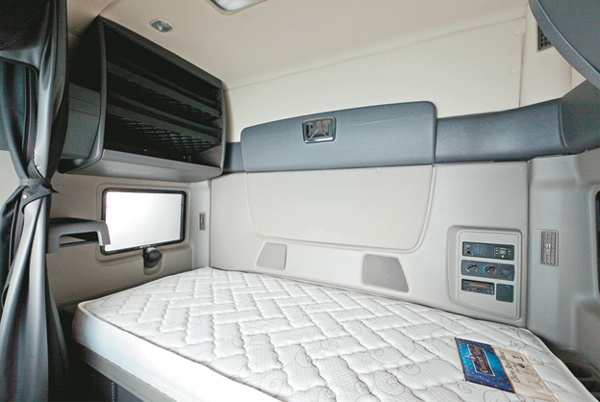 On the right-hand side of the sleeper is an enclosed shelf that could probably house a TV, microwave etc., and behind the driver’s seat is a rack for hanging clothes. The outside sleeper cab locker boxes are accessible from the inside of the cab by lifting the bed, though under bunk storage is restricted by the built-in fridge unit. Each end of the sleeper is dominated by a large window with insect screens that can pop open for ventilation. In a nutshell, the LS cab could easily house a driver and all of their gear and still have room for a bit of line dancing should the urge arise. Since the first time I stuck my head inside a Cat truck, I’ve struggled with the look of the dash. Okay, I’ve never been big on acres of bulging grey plastic inside any truck, but the angles all seemed a bit wrong. It wasn’t until I’d spent a day or two behind the wheel that I realised that form had been indeed been dictated by function and the weird shape of the instrument panel wasn’t just the result of some quirky designer’s imagination or a homage to mid-’50s American cars. The semi-circle shape of the instrument cluster, including the small digital menu, actually fits perfectly within the top half of the steering wheel. Maybe I’m a bit slower on the uptake compared to the average bear as it took nearly two days for the light bulb above my head to flick on. Consequently, I found the gauge visibility excellent. All of the other switch gear uses rather large block type rocker switches which look pretty hard to knock around. But what is really worth pointing out is the indicator stalk-mounted wiper switch. Finally, a yank-built truck without the dash-mounted fiddly twin-switch wiper set-up found on some competing brands. The same goes for the simple rocker switches for the engine brake. I also appreciated the horn switch recessed into the left arm of the steering wheel rather than having to reach for a pull cord. 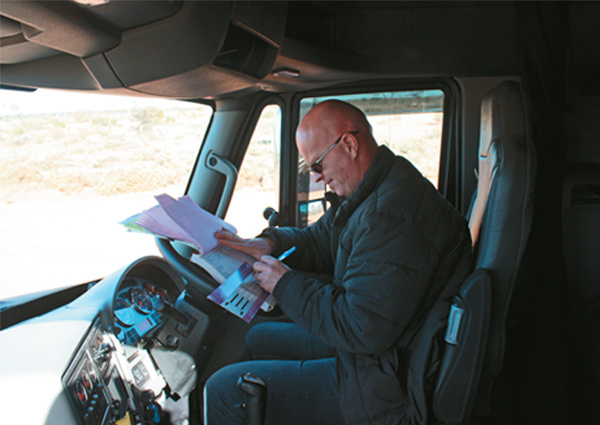 If you stand at a roadhouse in the middle of the night, you’ll often hear the repeated chirp of an electric truck horn as drivers pull up and throw their logbook onto the steering wheel to draw a line in it, so the placement of this horn button makes it hard to hit by accident. Unfortunately, the horn itself is terrible and sounds more like you are offering counselling to the individual in your path rather than a warning to get the hell out of the bloody way. While the aesthetics mightn’t be fantastic, dash-wise it is still well set out and functional. The Cat rolled steadily southward, leaving grey nomads in its wake, and it was an easy drive. The set-back steer axle of the LS gave the prime mover a positive feel on the road without feeling twitchy. It was actually a very comfortable truck to drive with enough room in the driver’s foot well to rest your clutch foot. There’s a left-hand side armrest, while the top of the driver’s door was padded and easily served as a right-hand side arm rest. 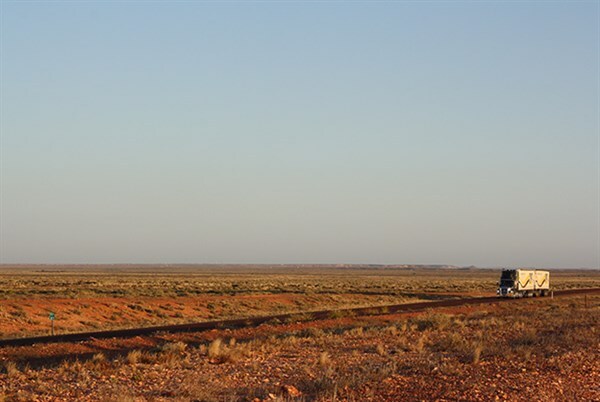 With the escarpments surrounding Alice Springs glowing red and ochre as the morning sun climbed over the horizon, we set out for Coober Pedy as a double road train, giving the combination a gross weight of 77 tonnes. Of course I should be telling you all about my initial observations in great detail, but really, if I’m brutally honest, my first impressions were overridden by the idiotic grin on my moosh as I drove south. The 550hp (410kW) C15 talking through twin stacks behind the cab sounds really, really impressive. There’s more to the new C15 than a cool exhaust note of course but it is indicative of what’s new and what’s not so new underneath that sloping, bulbous bonnet out front. When ADR 80/03 came into force it changed the driving characteristics of many engines on the market, especially the North American ones. The addition of EGR or SCR seemed to quieten down and smooth out these engines, with some losing their individual character along the way. If you do happen to be a fan of a Cat engine, then you probably won’t be disappointed with the new yellow donk. In true Cat fashion, the 15-litre growled as I accelerated, and only needed to be gently encouraged with the throttle as I worked my way through the 18-speed Eaton gearbox. In most cases, the only two gears I really needed to split were the top two or three stick positions. The C15 was even happy enough starting out on flat ground by using two gears in the bottom box of the transmission, the first and third stick positions, before making the jump into top box. The 550hp ACERT motor rarely needed to be taken over 1,700rpm, the 2,508Nm (1,850 ft-lb) of torque peaking at 1,200rpm. Combined with the momentum provided by the couple of trailers on the back meant that the black Cat sauntered up to highway speed easily with that old school exhaust note rumbling away nicely over the top of the 15 litres’ turbocharged whine. I should, however, point out that while I may have been indulging myself in some sort of LED-lit, diesel-soaked chrome and alloy fantasy, the driveline noise, while apparent, wasn’t at any stage intrusive. I’d say it was loud enough to let you know what was going on, but without forcing you to raise your voice to be heard while driving. It’s probably also worth mentioning this truck was a prototype with the new models expected to be starting production in the last quarter of this year. Knowing you are driving the only truck of its type in the country certainly makes you keep a keen eye out for roving wildlife, especially the large dense and furry Northern Territory kind that can leave a camel sitting where your front axle used to be. Whenever a grade was encountered, the yellow donk underneath answered with a deepening exhaust note as the engine knuckled down to work. Again, in true Cat fashion, it lugged right down to 1,150rpm before needing a down change — usually a whole gear rather than half. It was a rarity to have to change down more than one whole gear; the engine felt so strong that I was wondering how it would handle a third trailer. Unfortunately, the highest gross combination mass (GCM) rating in the range is 90 tonnes with Primaax suspension, ruling out triple road train duties for now. But there are apparently plans afoot to look at a high GCM model in the future. The mid-winter outback sunshine kept the ambient temperature outside at a pleasant level, with the coolant temperature hovering around 90C for most of the trip; the Horton fan only engaging on long grade grades at 100C. From the outside you can’t help but wonder how the Cat manages to keep its cool. The 9,967 square- cm (1,545 square-inch) radiator is hardly massive, especially when compared to some of its competitors. The radiator itself is actually a dual core unit that provides twice the cooling surface area, with its aluminium construction dispersing heat quickly, while the relatively small radiator grille also allows for a more aerodynamically shaped front. From a maintenance point of view, under-bonnet access to the engine is excellent and, apart from having to drop the bull bar on this truck, raising the hood was a one handed affair. If further access is required the inner guards are easily removed. Another plus was the ease of access to the LED headlight globes, with the plug and globe holder easily removed from the headlight housing. As we drew closer to civilisation and I had to share the road with more vehicles, visibility came into play and the LS had no surprises there. The large mirrors in wide housings gave a great view down the sides of the vehicle, and there was ample visibility from the driver’s seat in all directions. The CT630LS is a very easy truck to just hop into and drive, seemingly without any nagging idiosyncrasies, with good feedback through the wheel and from the engine. 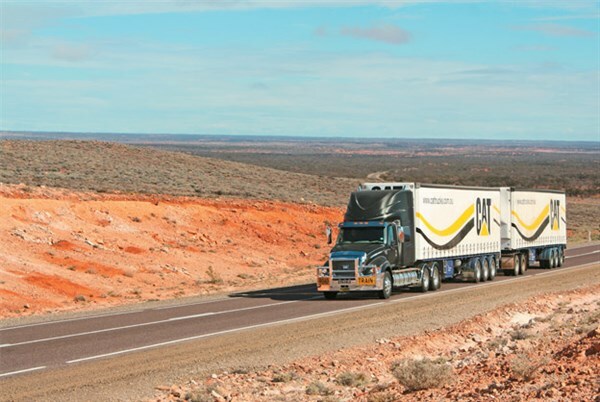 The long wheel base LS is a delight to drive, and the addition of the big sleeper will no doubt extend its appeal to single trailer long-haul use as well black top double road train operators, and maybe even bulk B-double roles where length isn’t an issue. For me, the ADR 80/03 ACERT C15 is the outstanding feature of the truck. The emission-compliant mill manages to keep things as simple as possible while still offering the kind of performance and driveability that CAT diehards will remember with fondness.